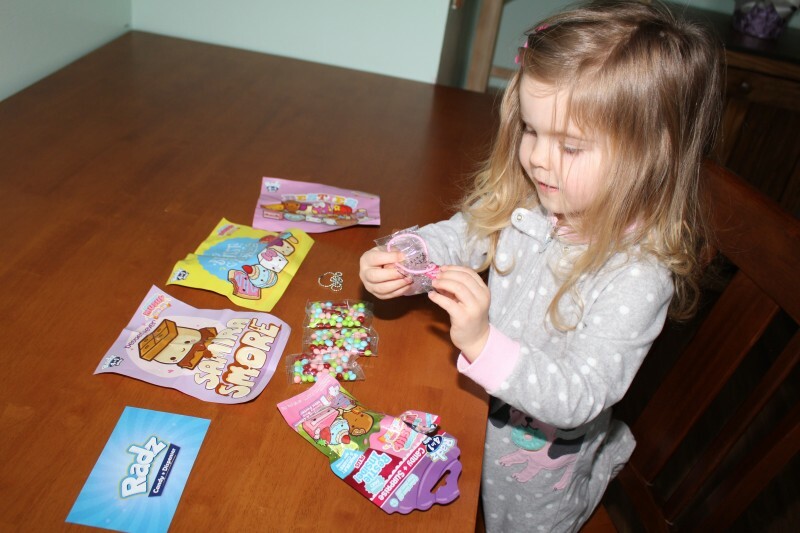 Thank you to Radz for sending Smooshy Mushy 4 in 1 Blind Bags in exchange for my honest opinion in this review. There is just something about collections that makes me reminisce. My husband collected coins when he was younger. I collected volkswagen beetle toys and like many others of the 90’s era – Beanie Babies. Right now it seems like collecting tiny toys/objects is popular. My daughter is happily jumping on the tiny toy collection bandwagon. 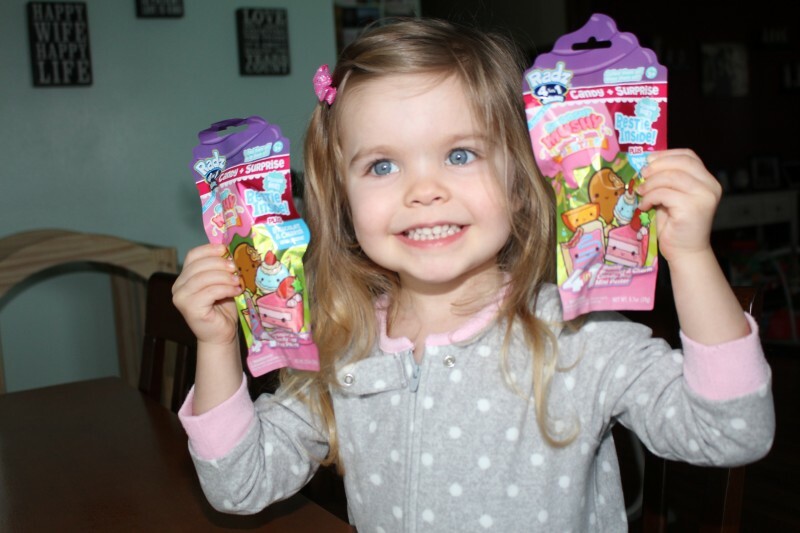 When I gifted her some Radz Smooshy Mushy 4 in 1 Blind Bags she was so excited! Above and below she is checking out the surprises she received in her blind bags. 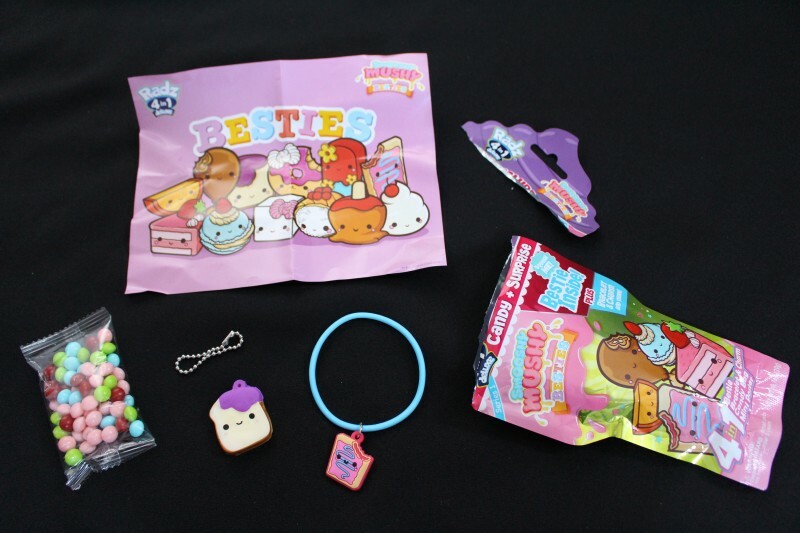 Each blind bag comes with candy in exclusive Smooshy Mushy inspired flavors, a Squishy Bestie, a mini poster, a surprise charm and colorful bracelet. There are 13 different charms and Squishy Besties to collect! 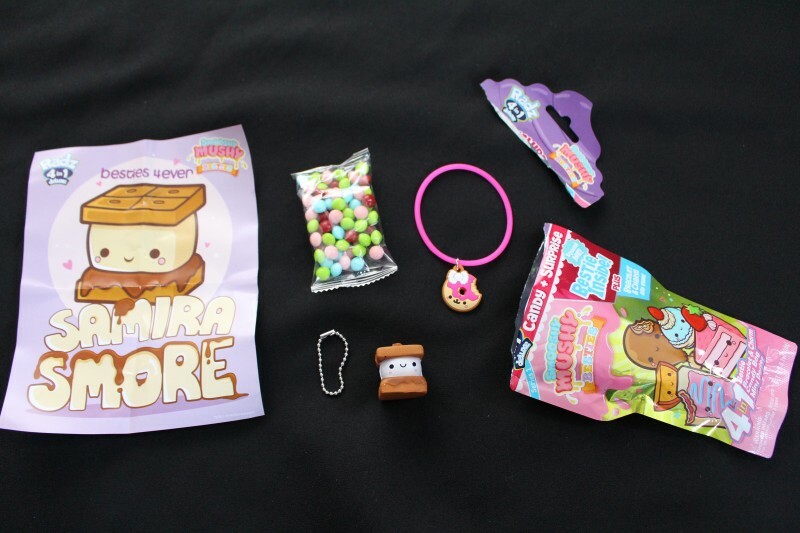 Above is what my daughter received in one of her Smooshy Mushy 4 in 1 Deluxe Blind Bags. 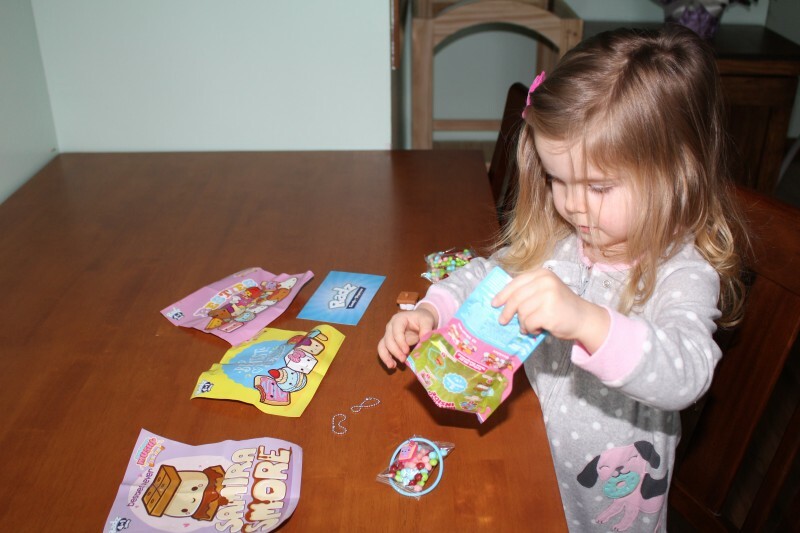 My daughter had so much fun opening her Smooshy Mushy 4 in 1 Deluxe Blind Bags! 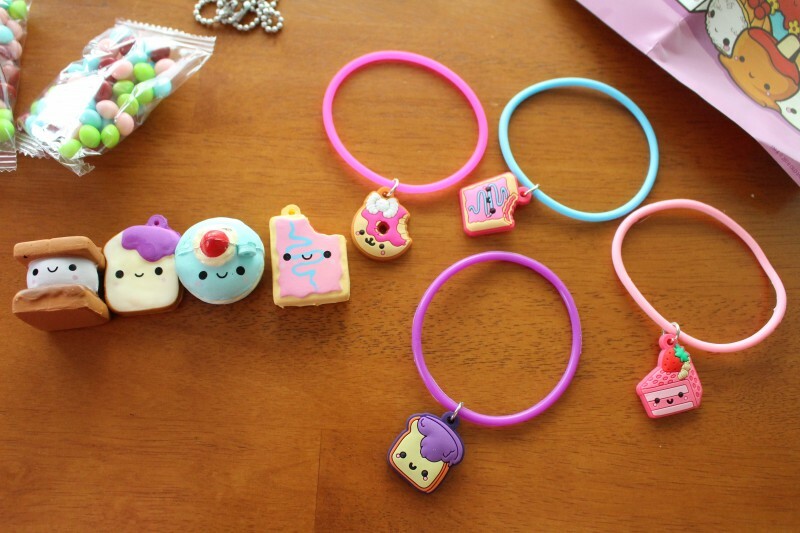 When I asked her what her favorite part was she said both the bracelet/charms and the Squishy Besties. She loves squishing the Squishy Besties. I found myself enjoying squishing them too – they are kind of like tiny stress balls! 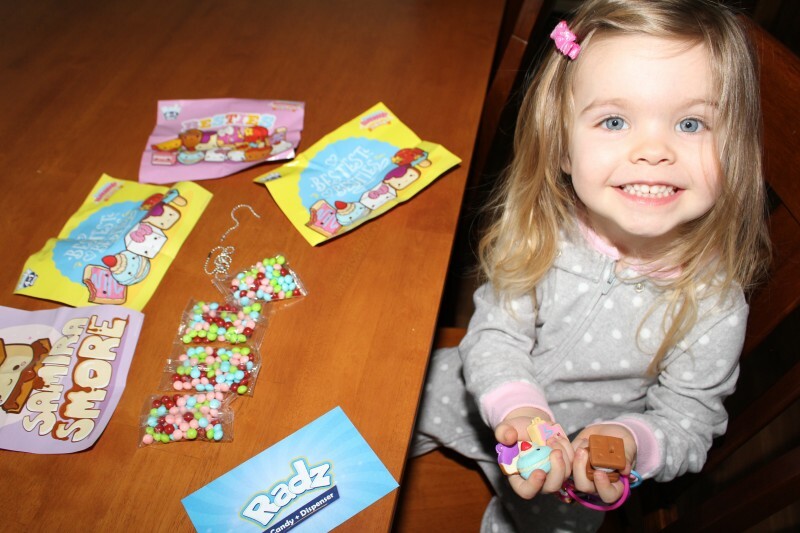 At less than $5 each, these Radz Smooshy Mushy 4 in 1 Blind Bags are perfect for gifting. They would make a wonderful Valentine’s Day Gift, Birthday Gift or Just Because gift for a special little girl in your life. They would also fit perfectly into an Easter Basket! 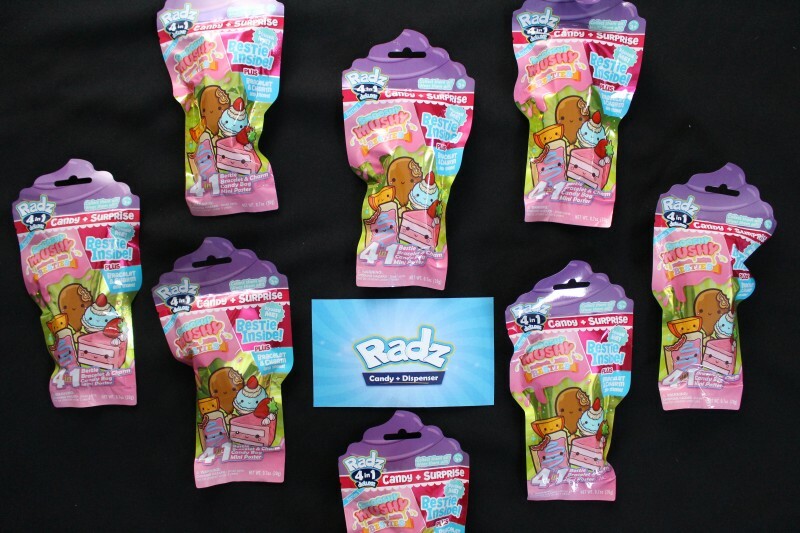 Buy It: Radz Smooshy Mushy 4 in 1 Deluxe Blind Bags can be purchased at Target or Walmart. Connect: Don’t forget to like them on Facebook and follow them on Instagram for all the latest news and promotions. These mystery bags are great for stocking stuffers at Christmas. I’ve bought all different versions for my niece and she loves them. I love little girl stuff. I am a big sucker for charms. I need a granddaughter! They have come up with the most adorable toys these days! My best friend’s twin girls love any of this “surprise inside” stuff!